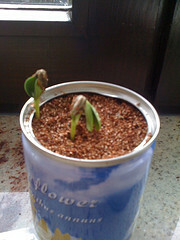 A couple of days ago I started another German solo, a really tiny one this time. I called it “Zwei Kindermärchen” by Heinrich Hoffman. 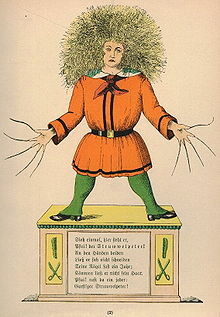 I will record the famous “Struwwelpeter”, the story how Struwwelpeter was written and another really cute book called “König Nussknacker und der arme Reinhold”. 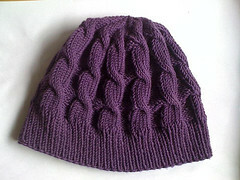 My “jinxed” Hermione hat is finally done. 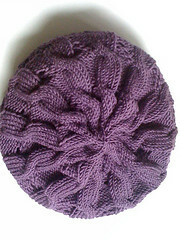 It acutally fits this time and is rather comfortable to wear. I even like the way I look with it. 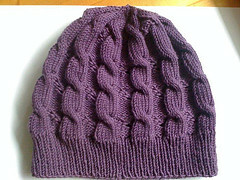 As usual the pattern and all details can be found on my ravelry page. 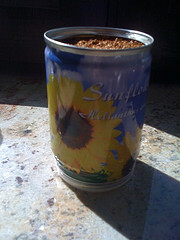 Yesterday I received a “canned sunflower” as a late birthday present. LOL! 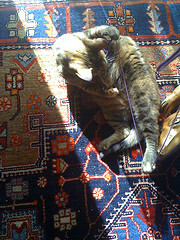 Luckily she didn’t do too much damage… still I’m starting to think that this knitting project is doomed. 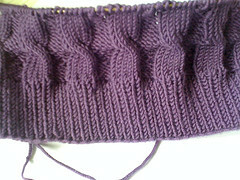 It’s a lovely pattern of eyelets and cables. Apparently Hermione (Emma Watson) in one of the Harry Potter movies wore one just like it. 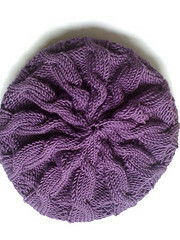 I can’t remember seeing it there, but I loved the pattern when I saw it on ravelry.com.